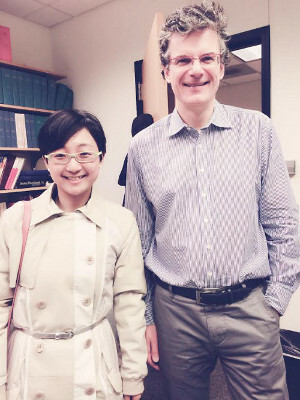 Group alumna Peiqi Zheng (PhD, 2013) visited Evanston and Northwestern, where she got to catch up with David, tour the still-familiar lab space, and even go out to dinner with some of the current group members. Thanks for visiting Paige, it was great to see you! Hyeji Park won 3rd prize in a poster competition of microstructural pictures held at the Korean Institute of Metals and Materials, based on her work synthesizing directionally solidified freeze-cast cobalt foams, performed here at NU; the award-winning poster can be found here. 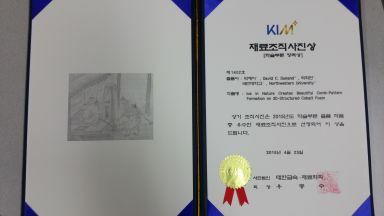 Hyeji is currently a student at Kookmin University in South Korea, under group alumnus Prof. Heeman Choe. Congratulations Hyeji and Heeman! Matt Krug and his wife Megna are celebrating the birth of their son Ravi Oliver Krug, who was born March 18 at 8:18 AM, weighing 8 pounds 3 ounces. "Megna and Ravi are doing great, and parents are learning how to make it through the day on minimal sleep." Congratulations! Group alumnus and current MIT DMSE Chair Chris Schuh came back to NU to give the 2015 Morris E. Fine Lecture today. The talk was entitled "Grain Boundary Alloying in Nanocrystalline Metals, from Theory to Practice"
Congratulations to Nhon Vo and his wife, on the birth of their daughter Vivian! Congratulations to Qizhen Li, who is now an Associate Professor at Washington State University in the school of Mechanical and Materials Engineering. Congratulations to Judy Zhu, who will now be working as a Quality and Reliability Engineer at Applied Materials in Santa Clara, CA. Congratulations to Bing Ye, and his wife Shu Zhang on the birth of their baby girl, Lynn! Congratulations to Yasumasa Chino, and his wife Tomoko on the birth of their second child (and first son)! His name is Soichiro and he weighed in at 3.0 kg when he was born. Congratulations to group alumna Ampika Bansiddhi, whose PhD Thesis was granted an Excellent Thesis Award for the Innovation Day 2013 competition held by the National Research Council of Thailand. Her submission ranked within the top ten of the 150 theses entered in the contest! Congratulations to Aurelia Ramos, who received a prize for best diploma. 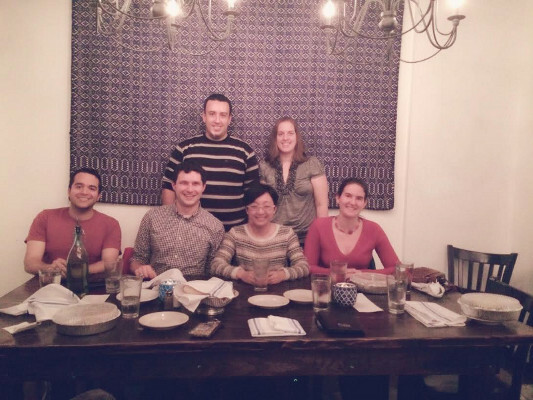 Congratulations to Qizhen Li, who was promoted to an Associate Professor with tenure at University of Nevada, Reno. Congratulations to group alumna Marie Cox and Eddie Schwalbach on their surprise marriage in DC!. Congratulations to Scott Oppenheimer, who will be starting at GE Global Research in June in their metals division. He will be working as a melt scientist with their vacuum melt furnaces. Fellow alumna, Anjali Singhal, will be working in the same lab, starting within a week of Scott. Congratulations to group alumna Andrea Hodge! She has been awarded an Office of Naval Research Young Investigators Program (ONR YIP) award for her proposal "Tailored crystallographic material states for the design of novel interfaces." She was also awarded a DARPA Young Faculty Award (YFA) for her proposal "Highly Nanotwinned Ultra High Strength Aluminum Alloys." Group alumnus Marcus Young has been offered a tenure-track faculty position in the Department of Materials Science and Engineering at the University of North Texas. He will be starting the position in September 2012. Congratulations Marcus! Congratulations to Bing Ye, who was hired in November 2011 as a lecturer (equivalent to an assistant Professor in the US) in the School of Materials Science and Engineering at Shanghai Jiao Tong University. 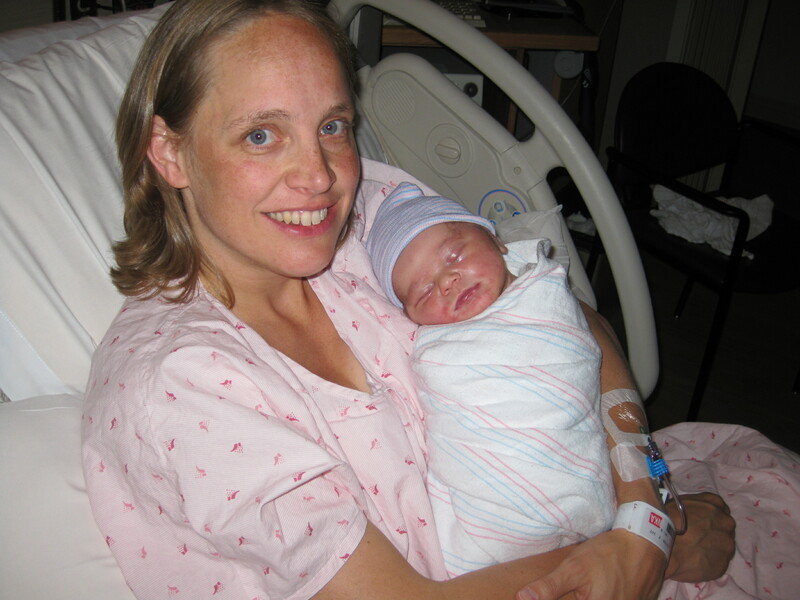 Congratulations to group alumna Marsha van Dalen and her husband John on the birth of their daughter, Laura Marie! She was born on Nov. 16 at 19:31 and weighed in at 6 lbs 15 oz. Group Alumnus Marcus Young's new daughter, Annika Wren Young was born at 19:38 on October 19, 2011 by c-section and she weighed in at 8 lbs 14 oz and 23 inches long. Congratulations! Group alumnus Chris Schuh has been appointed the new head of MIT's Materials Science and Engineering Department. He currently serves as MIT's Danae and Vasilios Salapatas Professor in Metallurgy and was also recently named to a 10 year appointment as a MacVicar Faculty Fellow. Read more here. Group alumnus Anselm Neurohr has been offered a position at Zimmer CAS as a Development Engineer in Montreal. He is the second alumni to enter the biomedical industry. He will be working with products through all stages of development, from conceptualization through market entry. 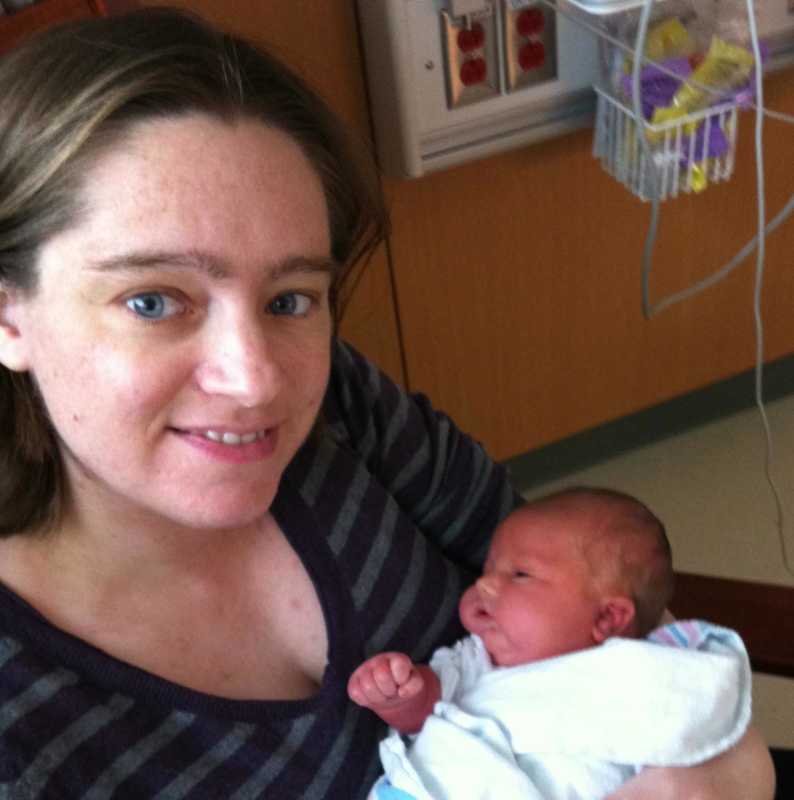 Congratulations to alumna Megan Frary and her husband Rick on the birth of her second-born, Margaret Pauline Frary, at 6lbs, 1oz and 20 in long! 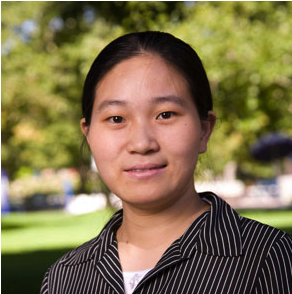 Qizhen Li, formerly a Post-Doc in the Dunand group, now a faculty member in the University of Nevada, Reno's chemical and materials engineering department, has been awarded a highly competitive National Science Foundation five-year CAREER Award. Read more here. Congratulations to alumnus Christian Greiner and his new wife Alexandra on their marriage! Congratulations to alumnus Chris Schuh and his wife Leslie on the birth of his second-born, Kira Jane Schuh, at 6lbs, 6oz and 19 in long! Group alumni Ampika Bansiddhi and Alan Borthers were married in Nontaburi, Thailand. Congratulations! Group alumna Andrea Hodge has recently been appointed as the Philip and Cayley MacDonald Early Career Chair in the Viterbi School of Engineering at the University of Southern California. This appointment recognizes Andrea’s exceptional distinction and promise as a faculty member.